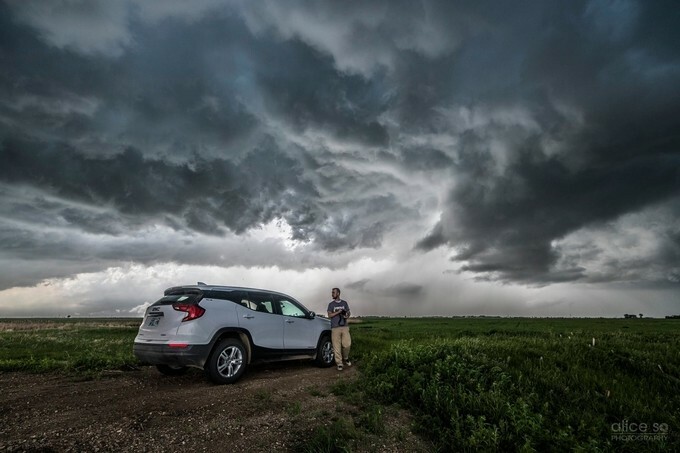 I am a Meteorologist, Dreamer, & Landscape Photog located in Bismarck, ND. My beautiful wife & delightful kids serve as my motivation for almost everything I do. I am self-taught with the "shutter" but have many solid mentors. Post editing is a joy for me. It provides me a fleeting flutter of raw emotion that I experienced when the image was taken. The power in the emotions urge me to sometimes push the limits in post edits by design, as I hope others may feel the brief surge of "being there." I began this hobby for myself but have decided to open my life's work to the public more over the past year or so. Recently, I have been told that my work inspires others. Talk about feeling humbled! The camera is an obsession of mine & gels perfectly with my passion for weather. Both allow me to constantly learn & try new things daily. I seek beauty in darkness. The world can be an unforgiving place. Photography helps remind me that there is also immense good and beauty all around, even in the darkness. The journey with my camera gives me hope during times when hope can be scarce. I pray my work can bring you hope also, friend.